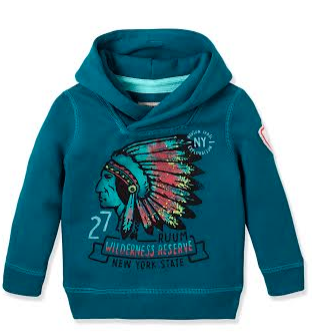 Ruum (It’s pronounced ROOM) is an American children apparel company based in New York City. There is a variety of hip and chic clothing options for both boys and girls. When I visited the new Madison Ave. store 2 weeks ago, I was delighted to find such cool and comfortable clothing at astonishing affordable prices. What really tickled my fancy was the boutique style store was kid-friendly. Yes you can park your stroller and kiddes in the middle of the store and go browsing. There is even couches where my little MJ can sit and play on his Ipad with his dad. I couldn’t resist taking a wacky photo at the in store photo booth. There is also a new store in Tribeca at 138 West Broadway in NYC. Ruum just released it’s Holiday/Winter collection on October 15th. Some trends include faux fur, plaid, soft knits and tailored pieces. I own a grey and rich purple argyle sweater that I plan on pairing with dark gray denim for MJ. I can even add a white collar shirt and black bowtie to jazz up the ensemble. The press release states the Boys Highland collection is inspired by Scotland. Many of the tailored or knit items are perfect for layering in The Jet Set Collection. The girls collection, Ice Princess, features sparkly accents and embellished pieces. The dresses are so well made, they look and feel like they cost hundreds of dollars! I just adore winter white, hopefully your daughter won’t stain any of these pieces. You can also layer the vest with soft tee shirts. This entry was posted in Boys Fashion, girl fashion. Bookmark the permalink.